Public Art Advisory Committee (PAAC) members will hang banners on Saturday, July 14, to identify the City Center Arts District (CCAD), beginning at 10 a.m. in front of the historic Lowndes County Courthouse. 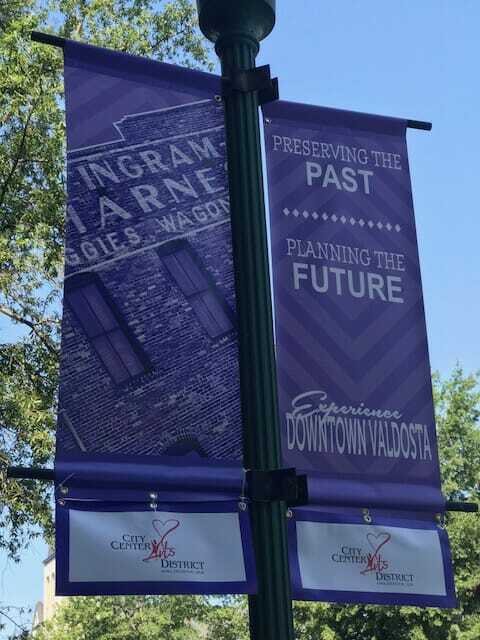 Volunteers are needed to attach nearly 150 CCAD banners to the bottoms of the Main Street banners already affixed to poles throughout the Downtown Valdosta area. The CCAD serves as the anchor of attraction for our community, defining a place where arts, culture and creativity improves our community’s competitive edge, attracts new and visiting populations, and contributes to the development of a skilled workforce. The purpose of PAAC is to further the purchase and appreciation of public art and to promote its aesthetic value to the economic development of the community. The CCAD was established by the PAAC and approved by the Valdosta City Council in October 2016, becoming the first arts district in the city’s history. The arts district follows the Central Valdosta Development Authority’s western, southern and eastern boundaries. The CCAD’s north boundary, however, extends two blocks to Webster Street to include the Annette Howell Turner Center for the Arts, as well as its Hudson Pottery Studio and youth art education Annex. Community volunteers are invited on Saturday to meet at the courthouse with step ladders and pliers to assist with the identification of the CCAD. For more information or to volunteer on Saturday, July 14, contact Sementha Mathews, Executive Director of the Turner Center for the Arts, at 229-247-2787 or [email protected]. 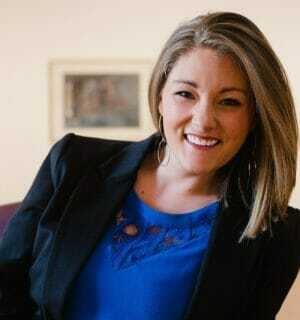 Kaitlyn Redish has been hired as the new Public Relations and Marketing Administrator for the Annette Howell Turner Center for the Arts, effective July 23, 2018. In her new role, Redish will lead the integrated marketing and communications strategy to promote the mission and drive awareness of the Turner Center. She will orchestrate innovative campaigns that promote brand awareness and effectively position the center as a regional leader in cultural enrichment, art education and entertainment. Under the direction of the Executive Director, Redish will be responsible for the oversight and planning of external communications to attract diverse audiences to the center’s exhibitions, educational programming, special events, and development and membership. Redish comes to the center after serving over two years as the Valdosta-Lowndes Chamber of Commerce Communications Director, where she was responsible for all forms of media, marketing, and event planning. Her strong communication and organization skills strengthened the Chamber’s membership and its overall mission. Redish has a Bachelor of Fine Arts in Speech Communication and Public Relations from Valdosta State University. After July 23, Redish can be reached at [email protected] or at 229-247-2487.